Home Nigerian News MMM Nigeria Top Guider, Chuddy Ugorji, Finally Reacts to Frozen Accounts. MMM Nigeria Top Guider, Chuddy Ugorji, Finally Reacts to Frozen Accounts. 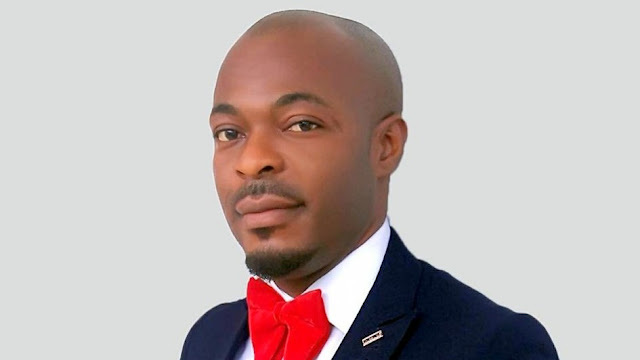 MMM Nigeria’s number one guider, Chuddy Ugorji, has finally reacted to the Ponzi scheme’s decision to pause withdrawals for one month. Mr. Ugorji, who is quite active on social media, addressed several controversies and allegations leveled against him in a lengthy Facebook post on Friday. A graduate of Karnataka State Open University in India, he is listed as the number one guider of the Ponzi scheme in Nigeria. His wife, Amaka, had earlier calmed frayed nerves in a Facebook message she posted on Wednesday. The pair tied the knot on November 12 in Lagos and their wedding was a certified “MMM” affair with the scheme’s logo and colours prominently displayed all through the festivities. Many Nigerian socialites and celebrities including 5 Star Music act, Kcee, graced their wedding. Further findings reveal that he joined MMM Global in 2015 and in 2016 played a major role in disseminating the Ponzi scheme’s gospel in Nigeria. In his post, he said, just like every other MMM member in Nigeria, he woke up on Tuesday and saw the news that accounts have been frozen for a month and that he didn’t have any prior knowledge about it. While debunking widespread claims that he is an admin on the MMM Nigerian site, Mr. Ugorji explained that he has always encouraged members to provide help only with their spare money and also get help at the end of 30 days. In his parting note, he encouraged all ‘Mavrodians’ not to panic as the ban on their monies will soon be lifted on January 14, 2017 and everything will be back to normal in no time. This week has not been easy for all of us due to the news update on our POs. As we all know, the media has been a tool used by anti-MMMites and pessimists to fight against the growth of MMM Nigeria. Confirmed Mavro will be frozen for A MONTH . Frozen of mavros does not mean MMM has stopped operations or crashed rather the system has adopted this measure to avoid any mishaps. The support system are working on issues to enhance the effectiveness of the community. Also let’s note that contrary to what has been published by cheap bloggers, Am not the Admin of MMM but one of the top guiders of this great community. The MMM website is been managed in Russia by their control and supervisory team . They are responsible for every decision made,like pairing of participants to provide help and get help,resolving issues on the platform etc. I have always been passionate about tutoring members and guiders about the ideology of MMM , the rules and the risk; I have encouraged members to provide help only with their SPARE MONEY and also get help at the end of 30 days. The reason members have to continue in this pattern of provide help and get help process is to ensure the sustainability of the system, because the platform is a peer to peer system, members knows that they own the system and pay only to themselves, There is no CENTRAL ACCOUNT. Regarding getting help,every guider in the MMM community has a limit to withdrawal and I have never made withdrawals above my limit ,rather have always helped to ensure the growth of MMM Nigeria community. Instead I have given more to the community through charity works and teaching of the ideology of MMM. Bloggers who get paid for promoting rumour, when ignorant Nigerians click on their blogs, Google Ad sense pays them per click. MMM founder is a Russian Sergey Mavrodi not a Philippines . I have never been to Philippines, the stories about going to the Philippines are untrue. I stand for the true ideology of MMM which is anchored on providing and getting help willingly. Let’s hope the best and STOP the PANIC! We shall overcome by God’s grace.